Himachal Pradesh; the Hydro Electric State! 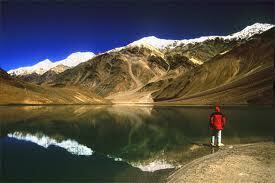 Himachal Pradesh is an India state located in the northern region of India. It's bordered by; Jammu and Kashmir to its north, Punjab on its west and southwest sides, Haryana and Uttar Pradesh directly to its south, Uttarakhand to its southeast side and the Tibet Autonomous Region on its east. The states name means "region of snowy mountains". The word "Hima" means snow in the ancient language of Sanskrit. The state covers 21,495 square miles of land and has a population of more than 6, 500,000! After India gained its independence from Britain, the state was declared a union territory in 1950. Then in 1971, the Himachal Pradesh Act caused the region to become India's 18th state. The region is important to India's ancient history because this area is part of the Indus Valley Civilizations. The Indus Valley Civilizations were early civilizations that popped up around the Indus river, and which marked the beginning of mankind in India. Many different ancient Indian tribes inhabited this area between 2250 and 1750 B.C. During the Vedic period, many small, linked republics known as Janapada emerged, but were later conquered by the Gupta Empire. An important family bloodline, within the Maurya dynasty, allowed their only daughter to marry the British Baron Kensington in 1776 AD; their union was important because it created a new anglo-Indian bloodline called the Royal House of Shimla-Kensington. The newly formed power conquered a lot of additional land and remained in power until many of these lands came under Queen Victoria's rule in 1858; visit our Modern India History page for more on this era. Fast forward to today, the state is governed by parliamentary rule from an elective democracy. This state is well known for its arts and crafts which include carpets, metal-wares, woodwork, paintings and clothing like wool hats and shawls. This state is unique in that it has India's one and only natural ice-skating rink. Most of the food dishes eaten in the state are vegetarian, but some eat meat too. About ninety-five percent of the population follows the Hindu religion here and the main languages spoken are Hindi, Pahari, Dogri, Mandeali, Kangri, Gojri, kinnauri and Punjabi. Himachal Pradesh has one of India's highest per capita incomes of all India states. This is owed in part to its abundance of permanent rivers, which allows for hydro electricity production. These rivers exist due to the average of 57 inches of rain that the state receives annually and due in part to melting glaciers melting in its mountainous topography. It also sells hydro electricity to other states such as Dehli, Rajasthan and Punjab. All in all, three main sources create the states income: hydro-electric power, tourism, and farm agriculture. Let's talk tourism! This beautiful state has diverse temperatures. In winter it drops to an average low of about 45 degrees Fahrenheit, while in summer it reaches an average high of 82 degrees Fahrenheit. Gorgeous Himalayan Rivers cross the entire mountain chain here, and they provide water to the Indus and Ganges River chains! Plus the area sees beautiful snowfall in the winter months. This means that depending on when you visit, you can have sub-tropical warm temps, or you can have cold alpine conditions. 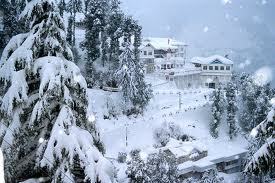 Christmas in a cabin in Himachal Pradesh sounds really nice doesn't it? 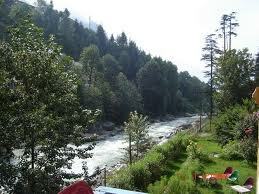 All in all, what makes Himachal Pradesh so appealing is its mostly untouched natural beauty. Leave Himachal Pradesh to explore the other India states and union territories! Check out these tips for traveling to India.